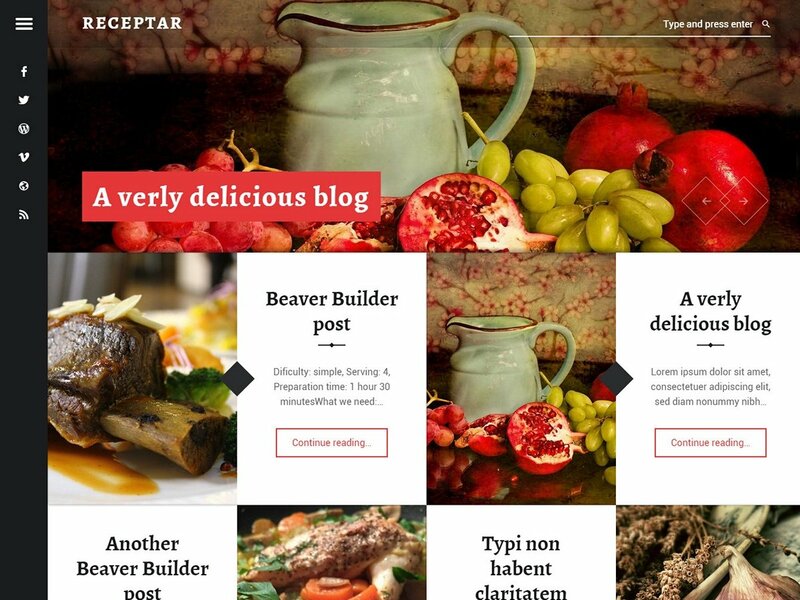 Receptar is a simple, modern, responsive, high resolution, fully customizable, stylish blog WordPress theme. It features split-screen book-like design inspired by a modern cook book with emphasize on beautiful imagery and typography. Supports Beaver Builder page builder and Jetpack plugin, search engine optimized markup, Theme Hook Alliance action hooks, translation-ready code, front page slideshow, customizable colors, and other cool features. As a proof of quality, this theme was forked by Automattic company (the company behind WordPress and WooCommerce software) who modified it and created a new theme off of it. As this free theme is distributed via WordPress.org official themes repository, you can install it directly from your WordPress dashboard. Just search for “Receptar” in Appearance » Themes » Add New.